The Hebrew word SULAM means “ladder”. Just as a ladder enables a person to reach heights that he or she could not reach alone, the SULAM-LI program enables school-age Jewish children with special needs to reach new heights in their Jewish education. Meeting every Sunday morning from 10:00 am until 12:00 noon, SULAM-LI staff employ a wide range of techniques to impart the beauty of our Jewish heritage to students with special needs. 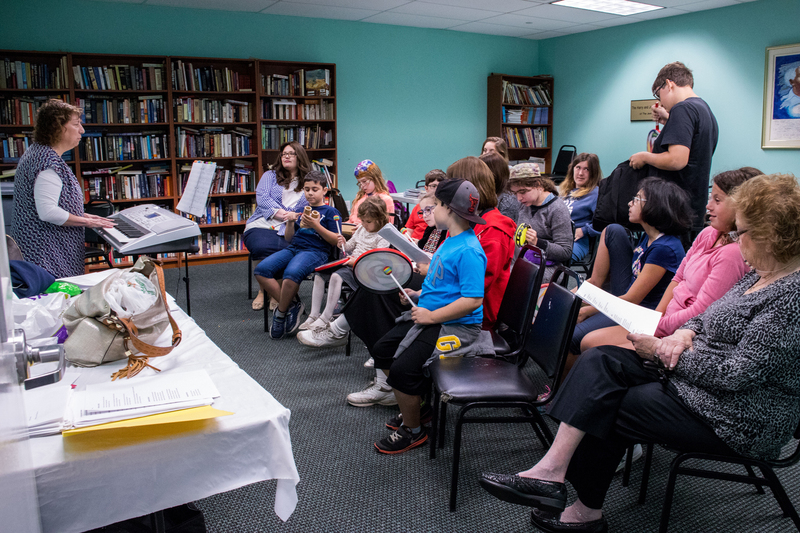 With an emphasis on multi-sensory and experiential learning, the SULAM-LI program incorporates art, cooking and story telling to adapt the classic congregational school curriculum to the needs of our students. 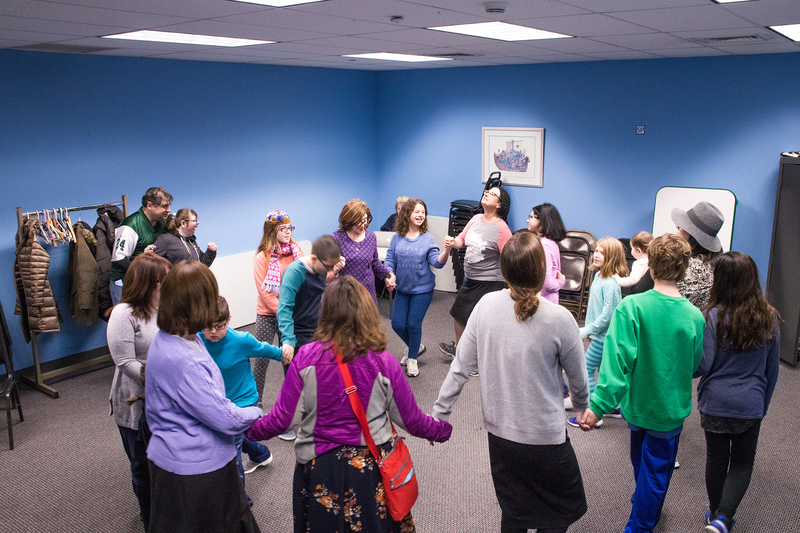 A special music and movement program involves participants in joyful expression of Jewish song and prayer. Chanukah and Purim parties, a Model Seder, and a Shabbat celebration round out the educational experience. SULAM-LI offers your child an opportunity to connect to our Jewish tradition in an appropriate learning environment which is designed to meet your child’s unique learning style. SULAM-LI has small class sizes. SULAM-LI has highly trained special educators. SULAM-LI has a specialized multi-sensory curriculum. SULAM-LI is open to children of all Jewish backgrounds. 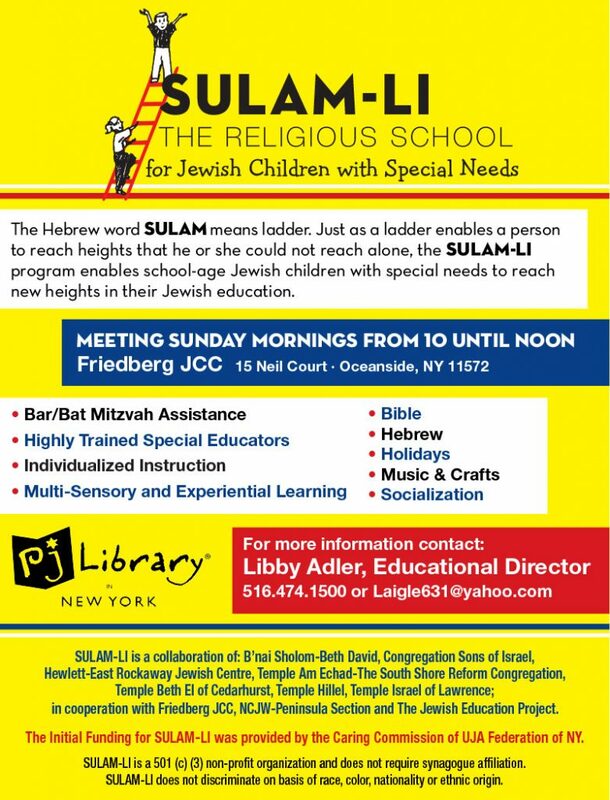 SULAM-LI participates in the PJ Library program. The program meets at The Friedberg JCC at 15 Neil Court in Oceanside. 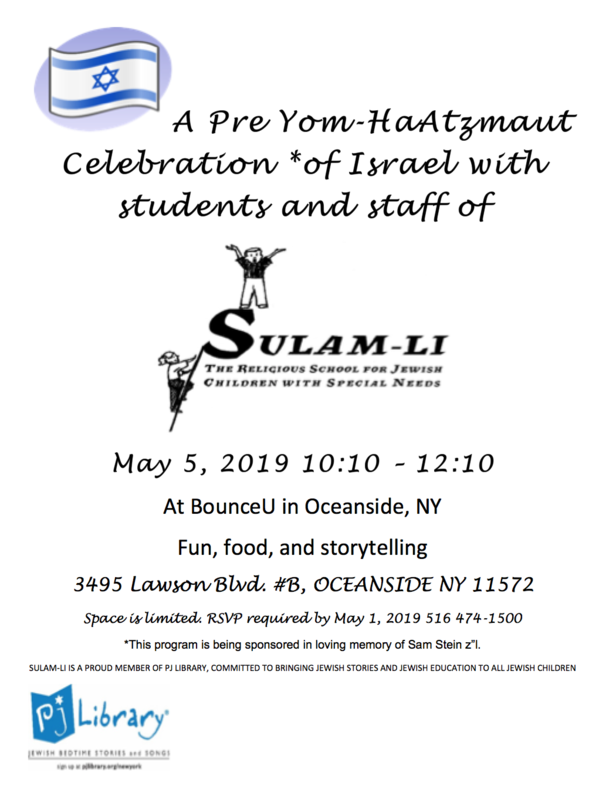 SULAM-LI is a collaboration of the following synagogues: Congregation B’Nai Sholom-Beth David, Congregation Sons of Israel, Hewlett-East Rockaway Jewish Centre, Temple Am Echad-the South Shore Reform Congregation, Temple Beth El of Cedarhurst, Temple Hillel and Temple Israel of Lawrence in cooperation with the Friedberg JCC and NCJW-Peninsula Section. The initial funding for SULAM-LI was provided by the Caring Commission of UJA Federation of New York. SULAM-LI is a section 501 (c) (3) non-profit organization and does not require synagogue affiliation. The program does not discriminate on basis of race, color, nationality or ethnic origin.